It is definitely no fun to live in an environment where the air is extremely dry, as you end up with chapped lips and skin that is none too nice to touch. In fact, dry air would make any room uncomfortable, and in the extreme, it might cause nosebleeds to boot. 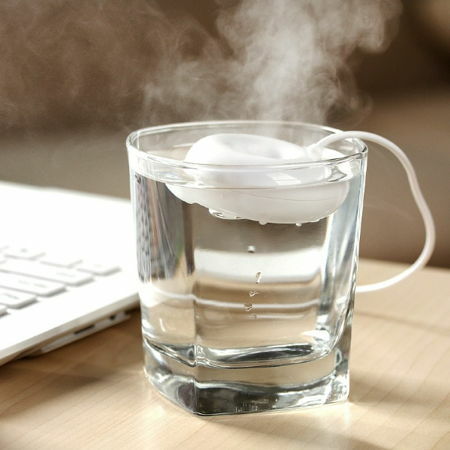 This is a very real problem especially in office buildings where the air happens to be recycled, which is why picking up the $16 USB Doughnut Humidifier might be a good idea. I hope that no one will mistaken this for an actual glazed doughnut and place this in their morning coffee, otherwise they would end up owing you $16 for a replacement.